With the holiday season upon us, you know what’s soon to follow . . . . stress! Every year when I put away the Christmas tree I tell myself that I’m going to be better organized the next year. I’m going to do more of this and less of that. But, some how I end up falling into the same patterns each year. Are you the same way? I found something that I’m going to try this year and you may want to try it, too. 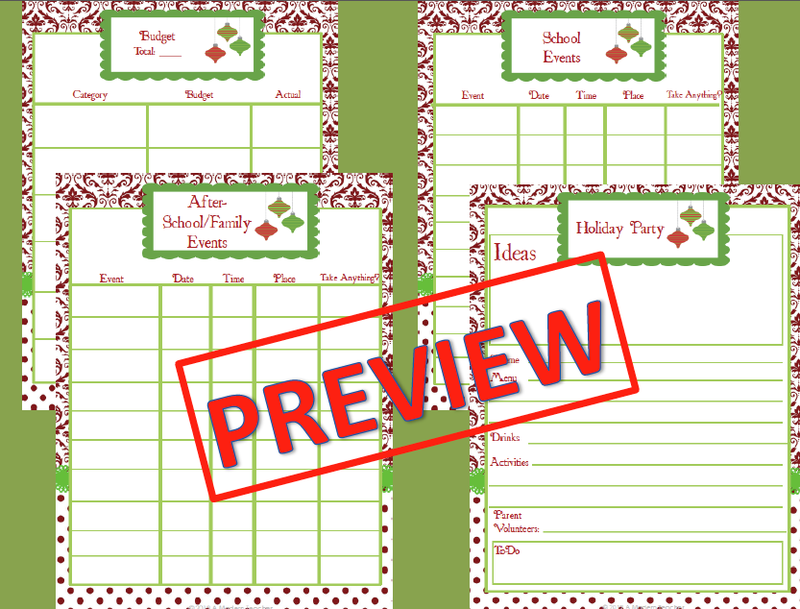 It’s a holiday organizer and it is made by a teacher and is for teachers. The great thing about this organizer is it helps you get organized at home AND at school. Let’s take a stroll through memory lane and see if any of these sound like your ghosts of November past or December past? *You rarely have a day that is on your regular schedule because of days off for the holidays or rehearsals for holiday programs. And we all know what happens when children get off schedule! Now suddenly, even your most well-behaved student has done his/her Dr. Jekyll-Mr Hyde routine for you. You have the days counted until the next break. *You get more phone calls, drop ins, and emails from parents expressing their concerns. The sad thing is, this is the time of year when you really don’t have extra time on your hands to respond to this, yet you must. In reality, they are feeling the holiday stress so they pass some of it along to you. *If you are mom/dad and a teacher, you get the double whammy of having children hyped on the holidays at school AND at home. You think back to those pre-children days of “Calgon take me away . . . .” You no longer can come home, take a bubble bath or take a nap to recover from your day at school because you have children. You get to come home and put on your “Mom/Dad hat”. Now your only reprieve is to call Dominos Pizza. You are now on a first name basis with your pizza delivery guy. On this page you can keep track of what baked goods you plan to make. It’s time to put on your Martha hat. There is a shopping list page so you won’t be caught short of an important ingredient. You can look at your schedule by the month and by the week. There is a place you can keep track of your budget which is sure to make your spouse happy. 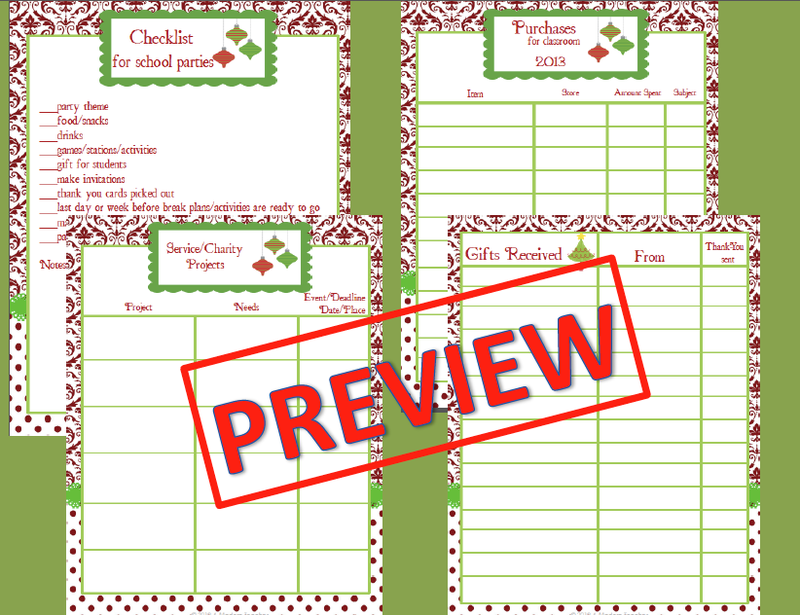 Pages are included for school events and after-school/family events. 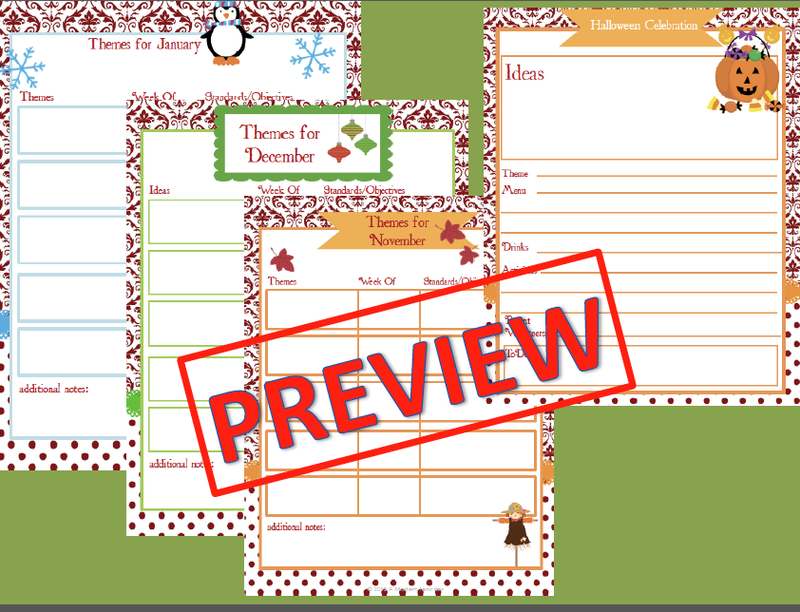 There is also a page for planning holiday parties, both for home and school. These pages are great for long term lesson planning. These pages will help you at school: plan your party, remember to send thank you notes to your students, document any service projects you did, and other helpful stuff. 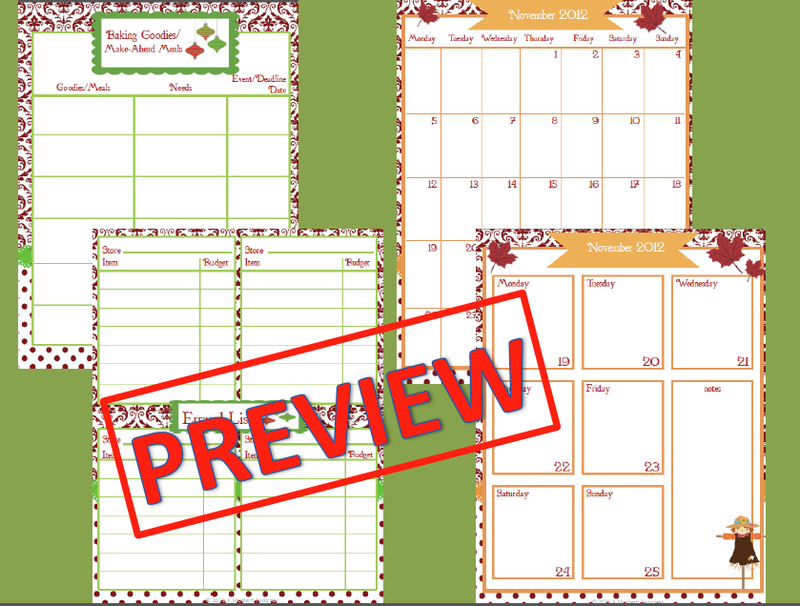 The creator of this amazing 47 page organizer is April @ A Modern Teacher. She has generously offered to give THREE of these away. If you’d like a chance to win one, you need to go to my facebook page October 29th – November 2nd. Find the picture at the top of this post and leave your name and email in the comment section. April will give THREE away on November 2nd.